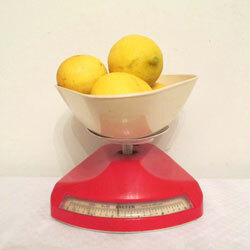 Bright red plastic kitchen scale, from around the 1950s. The manufacturer is Salter, one of the best known English scale manufacturers. It works perfectly today and can weigh your cooking ingredients. 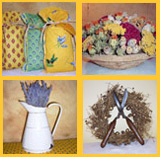 The dimensions are 7 1/2" X 7" X 6 1/2".